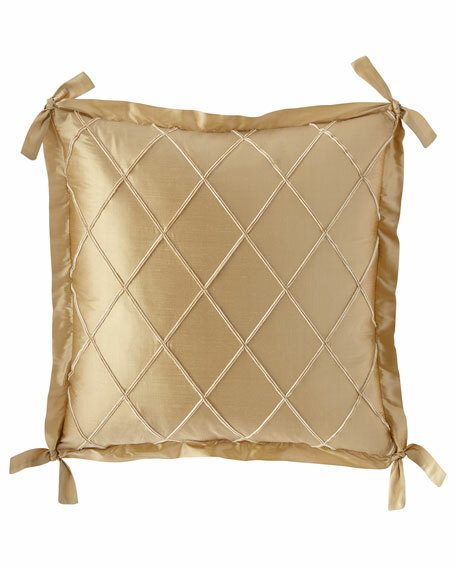 Austin Horn Classics Rockwell Silk Boudoir Pillow, 14" x 20"
EXCLUSIVELY OURS.Silk sham with raised diamond design front. 1.5" silk folded flange ties at corners. Silk back. Zip closure. 26"Sq. Dry clean.Made in the USA of imported materials. 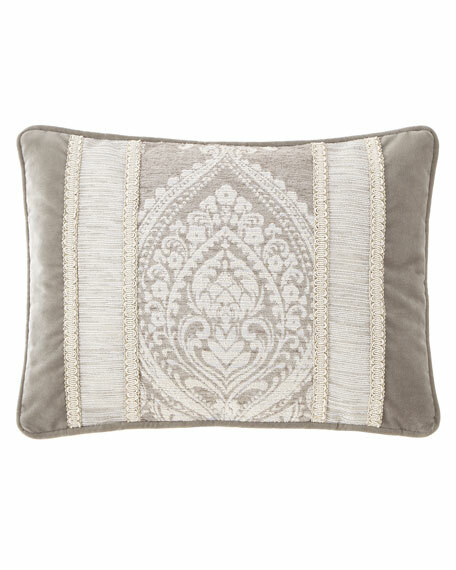 Austin Horn Classics Leisure Embroidered Velvet Pillow, 20"Sq. 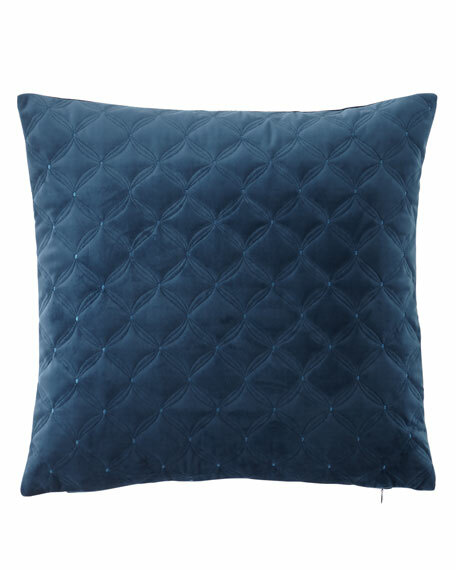 Velvet diamond-quilted pillow.Knife edge with zip closure. Feather/down insert. Polyester; spot clean.14" x 20". Made in the USA of imported materials. 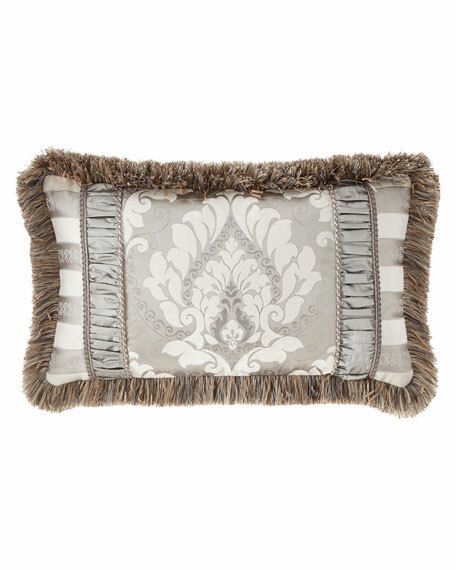 EXCLUSIVELY OURS.Pieced boudoir pillow with textured center, ruched inserts, and velvet sides. Velvet sides, mini welt and back. Zip back. Polyester/viscose.Dry clean.13x19.Made in the USA of imported materials. 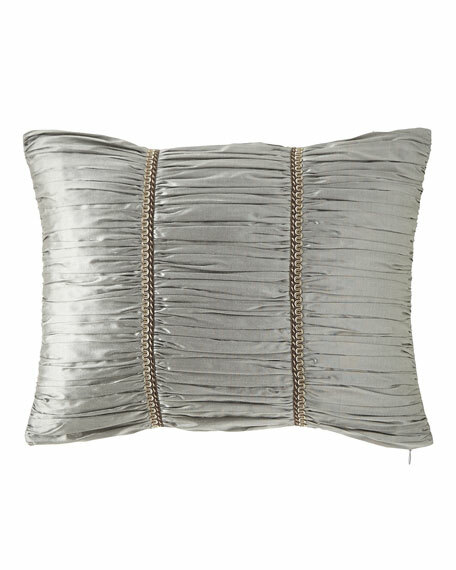 EXCLUSIVELY OURS.Lumber pillow with shirred silk insets. Damask center. Striped ends. Brush fringe edge. Striped back with zip closure. Polyester/acrylic.Polyester insert. Dry clean.14" x 24". Made in the USA of imported materials.